The Maharajas Express is the only train of its kind to provide an ultra luxurious Presidential Suite with a floor area of 448 square feet. 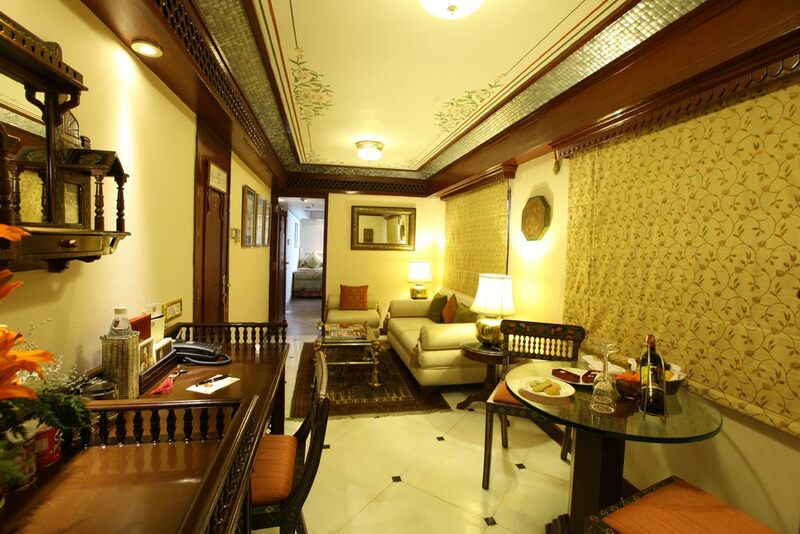 The Presidential Suite is named “Navratna” and it has a royal living room with comfortable sofas, chairs and writing desk. There are two bedrooms and washrooms. Each bedroom is the acme of perfection in recreating the bedroom style of erstwhile Maharajas of India and gives an extraordinary feeling of royalty to guests. Service complements looks and feel of the Presidential suite with a 24 hour personal valet on call. If you want a no-holds-barred princely experience, there is nothing like it.